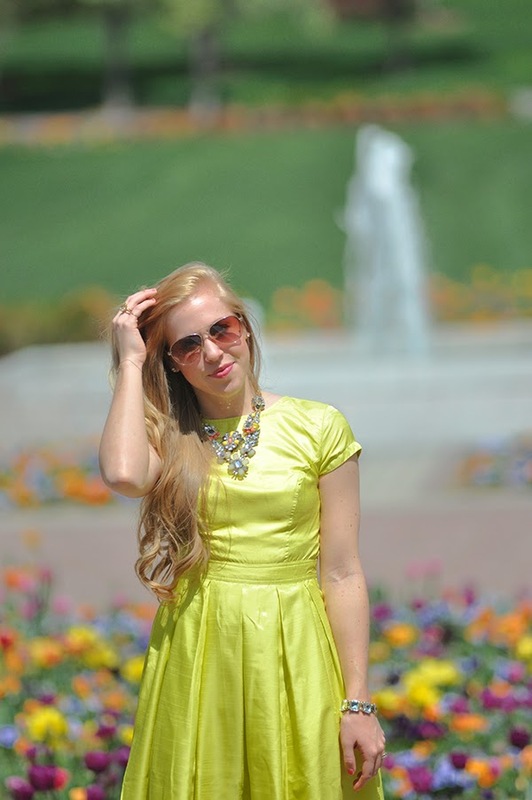 eShakti is an awesome site which allows you to customize your dress to fit you! You can submit custom measurements (I didn't because the XS was close to my measurements, I should have though because the bust is a little big on me), select sleeve length (I did the cap sleeve), and choose the length and neckline you'd like your dress to be. It is especially nice if it is hard to find dresses that are long enough and have the correct sleeve. Currently their spring sale is 30% off - Plus you get a $25 gift coupon when you register. AND today only, aBree Fashion readers get an extra 10% off at checkout with code Brees. What a cute dress! 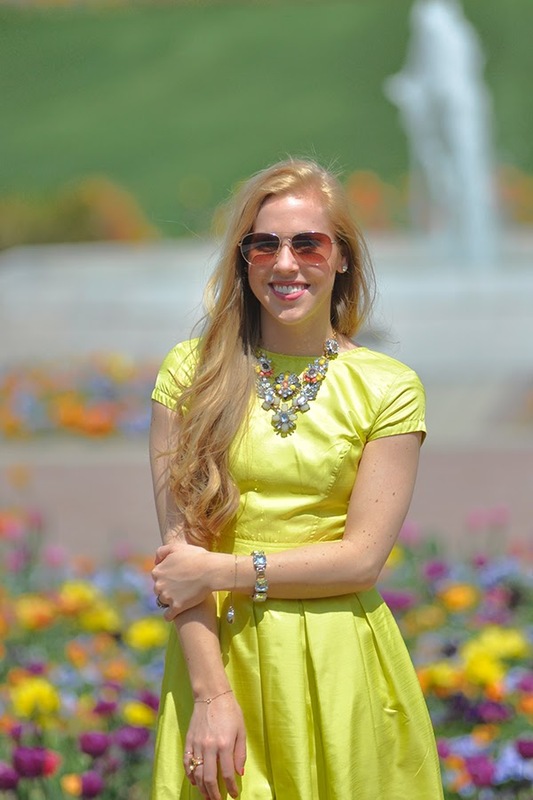 Love the necklace you paired with it! I am completely in love with eShakti! They have a great concept and I adore their feminine, vintage style. 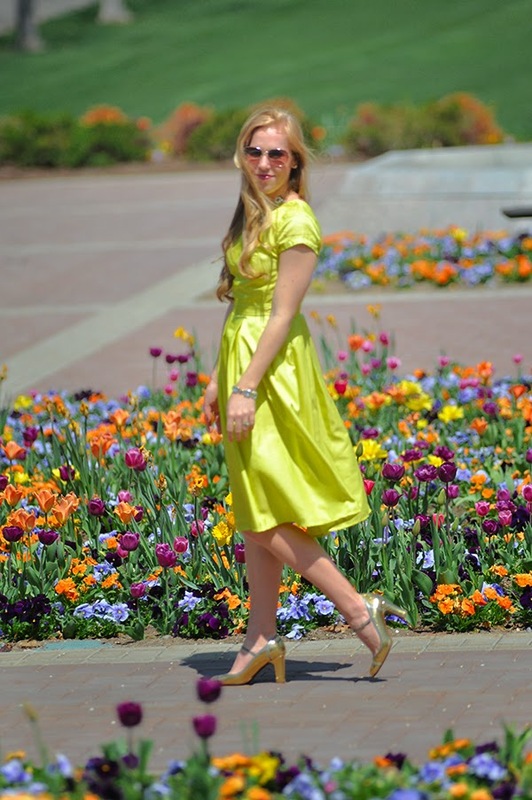 I wore an eShakti dress for Easter (which I just posted on my blog) and I felt so sweet! 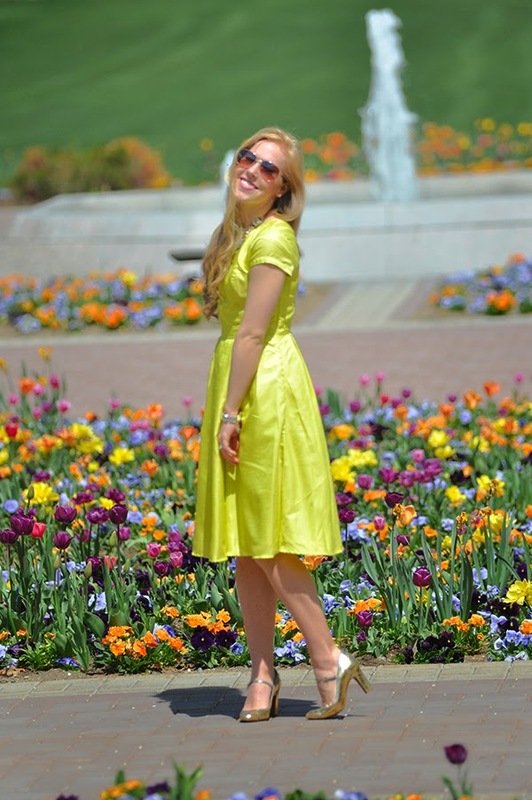 Who doesn't love a bright dress on a sunny spring day?? :) the statement necklace is perfect! It's getting sunny up here in Edmonton, Canada too!! :) Happy Easter! You look amazing in bright colors!